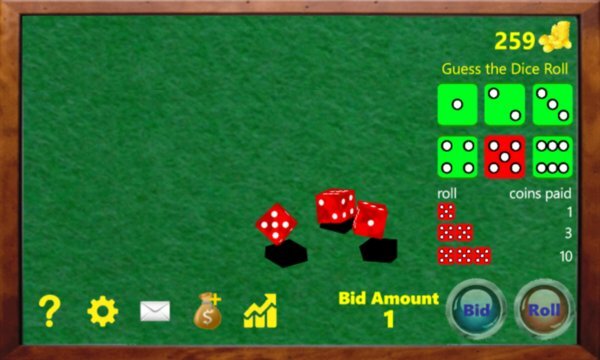 Play Dice, win Coins! An old game from the wild west. 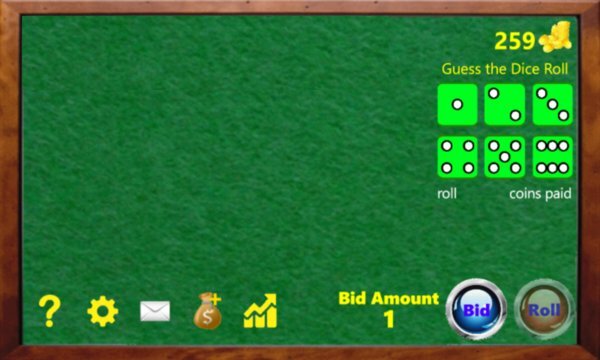 Predict the roll of three dice and net yourself some in game coinage. This game was originally played during the gold rush because it was simple and fun. Gamblers flush with cash from gold would roll the dice with each other for hours of fun.